The Original oil painting size is 83 x 142 1/4 inches. It dates 1866. 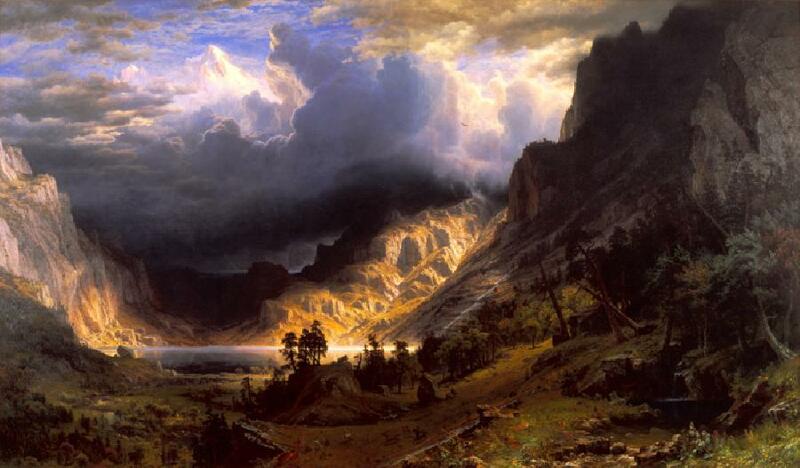 Artistically, Bierstadt`s reputation was established with beautiful pictures of the American West that represented the national agenda of expansionism known as Manifest Destiny.